We all love going to the beach, that’s just a fact. The sun, the sand, and the ocean right there for us to enjoy! 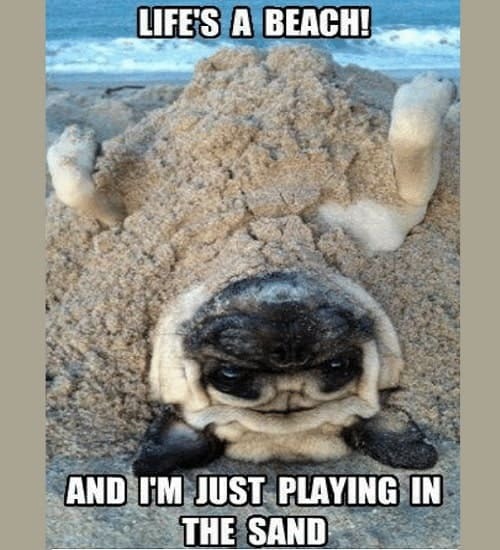 But let’s face it, there are some pretty funny things that always happen to us when we go to the beach, so of course, we had to do a funny beach memes compilation. There’s something about having to drive from a couple of minutes to even hours (unless you live right in front of the ocean) to go to the beach, about seeing so many people in bodysuits, that is just funny, so you can’t really blame us for creating this funny beach memes compilation! 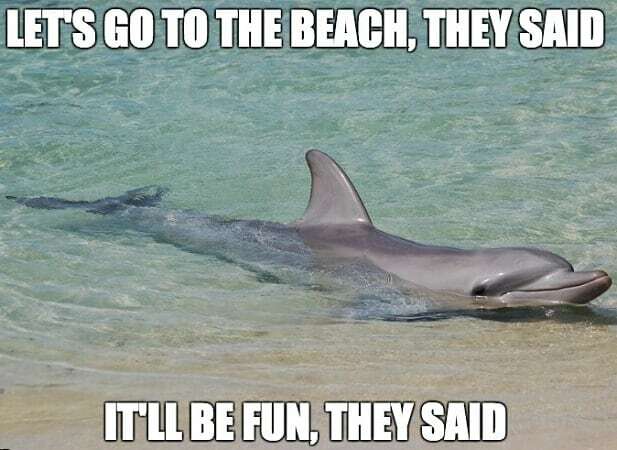 It doesn’t matter if you are one of those people who love the ocean with all of their hearts and simply enjoys being at the beach whenever they can, or if on the contrary, you are one of those people who simply hate the beach, you’ll love these memes. 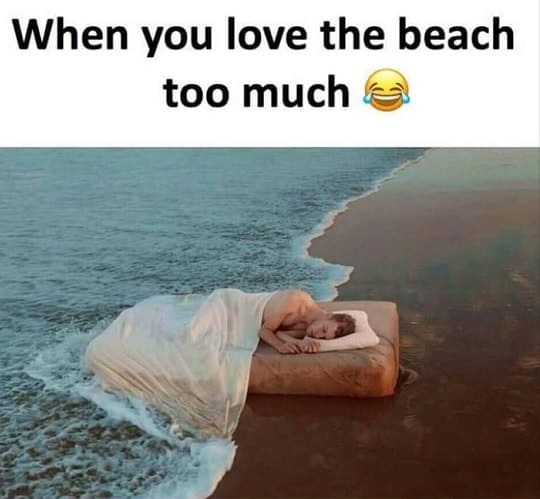 From funny beach memes about how incredibly the hot the temperature can get while you’re at the beach, to memes about the typical types of persons at the beach, to memes about how WE are when we go to the beach, we’ve got it all! So sit down and enjoy the very best memes compilations, trust us, you won’t regret it. 1. 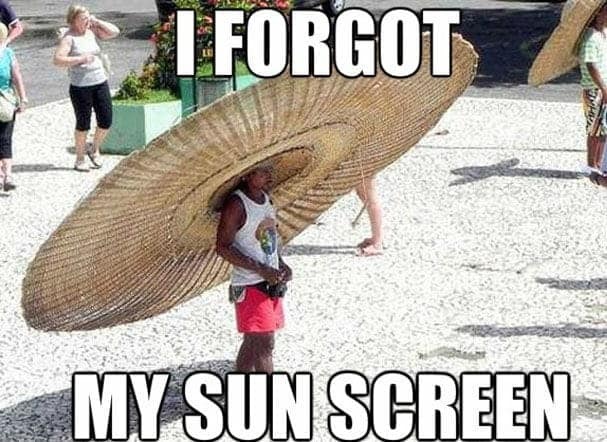 SPF 30? 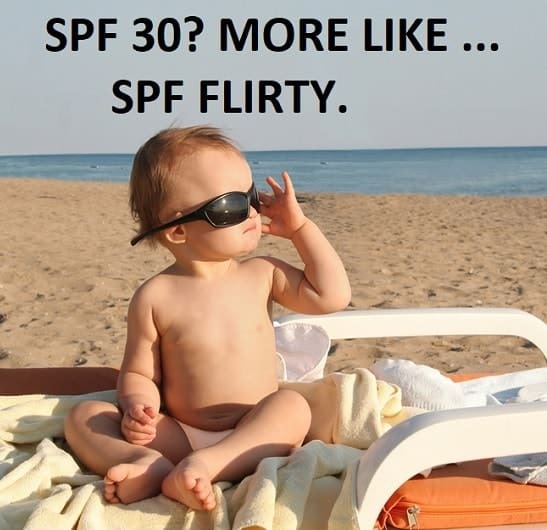 More Like… SPF Flirty. 2. 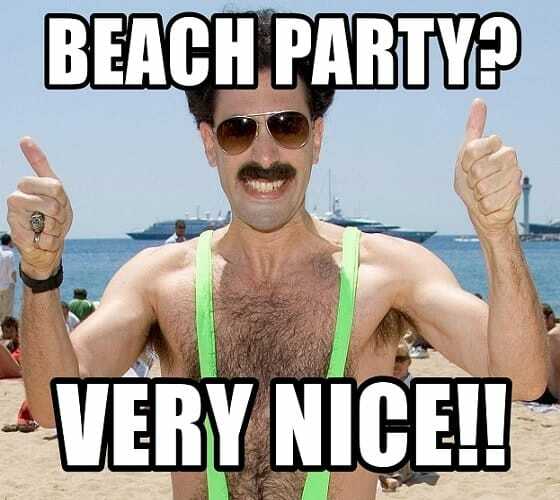 Beach Party? Very Nice!! 4. 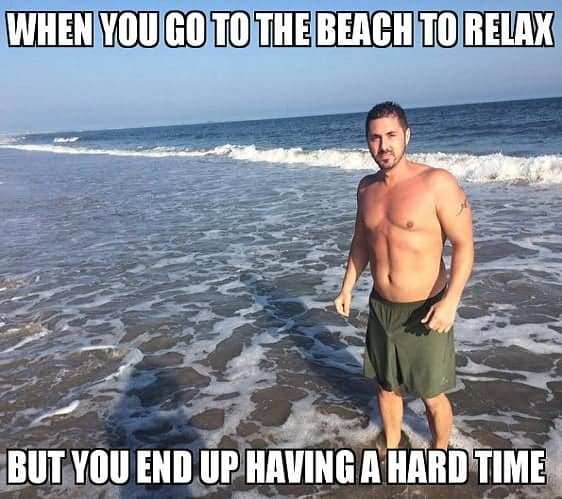 When You Go to The Beach to Relax But You End Up Having A Hard Time! 5. 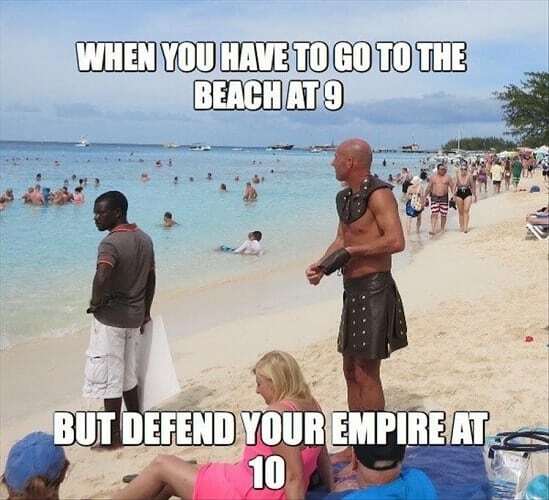 When You Have to Go to The Beach at 9 But Defend Your Empire at 10. 7. Get That Beach a Dune. 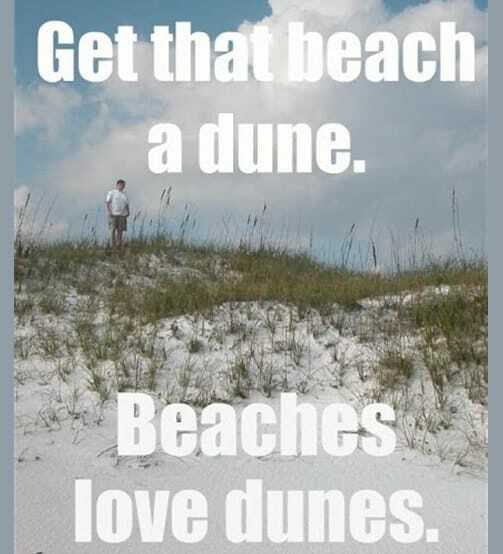 Beaches Love Dunes. 8. 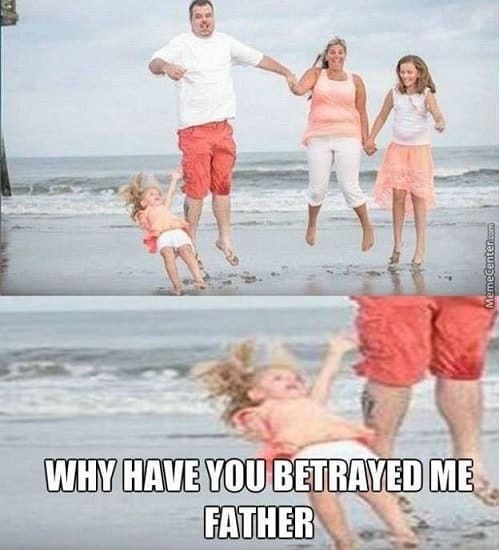 Why Have You Betrayed Me Father! 9. I Go to The Beach to Surf. 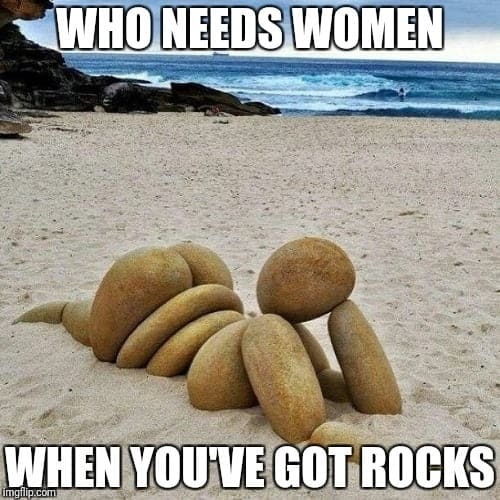 10. Who Needs Women When You’ve Got Rocks. 11. Something Just Brushed My Leg, Something Brushed My Leg! 12. 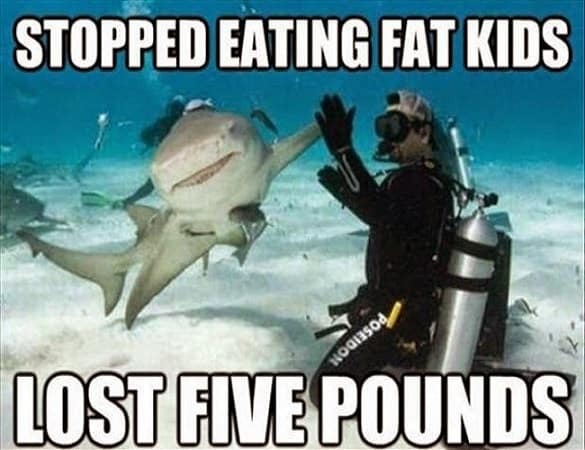 Stopped Eating Fat Kids, Lost Five Pounds. 13. 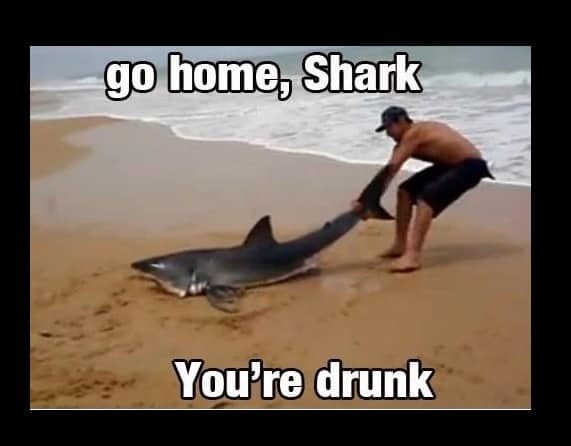 Go Home, Shark. You’re Drunk! 14. Day at the Beach at Its Finest. 15. 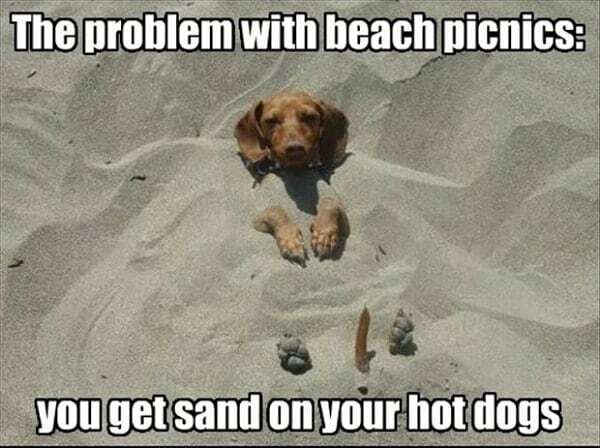 The Problem with Beach Picnics: You Get Sand on Your Hot Dogs. 16. 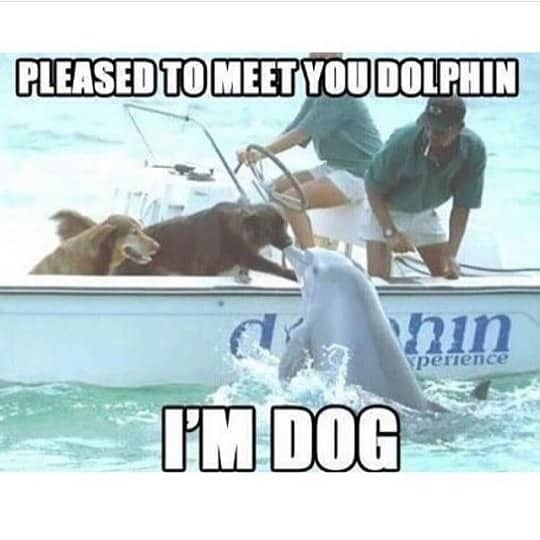 Pleased to Meet You Dolphin, I’m Dog. 17. Life’s A Beach! And I’m Just Playing in The Sand. 18. 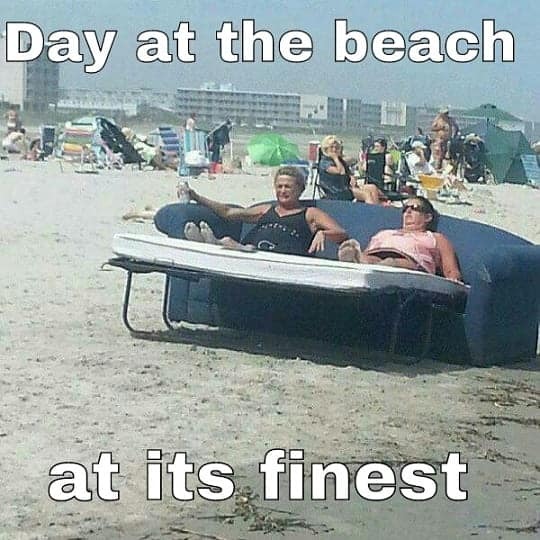 Let’s Go to The Beach, They Said. It’ll Be Fun, They Said. 19. 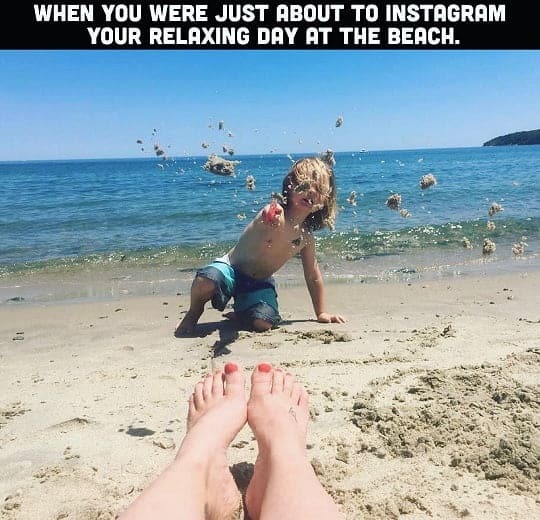 When You Were Just About to Instagram Your Relaxing Day at The Beach. 20. Hey! 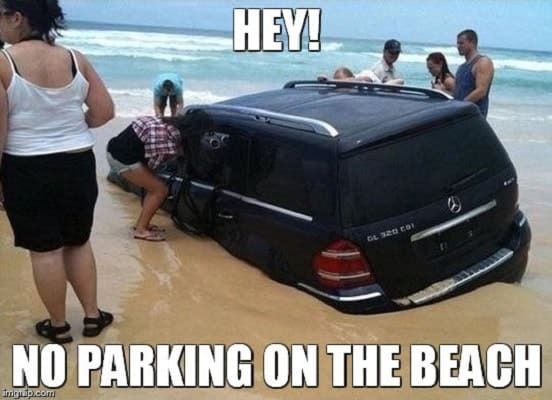 No Parking on The Beach! 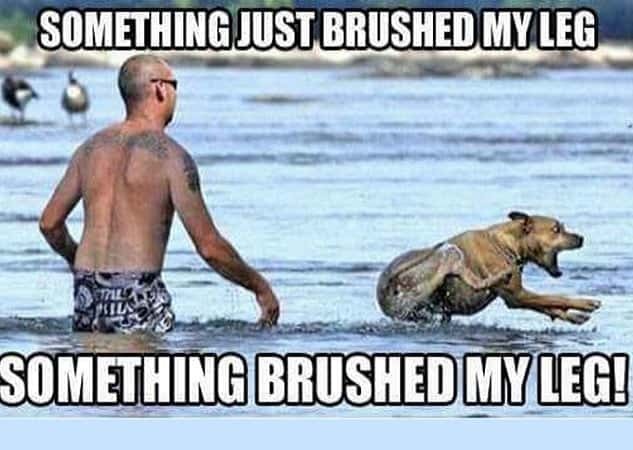 As you can see, there are plenty of funny situations that can happen when going to the beach. It doesn’t matter what beach it is, or who we go with, not even what we do, we all kinda go through the same experiences. 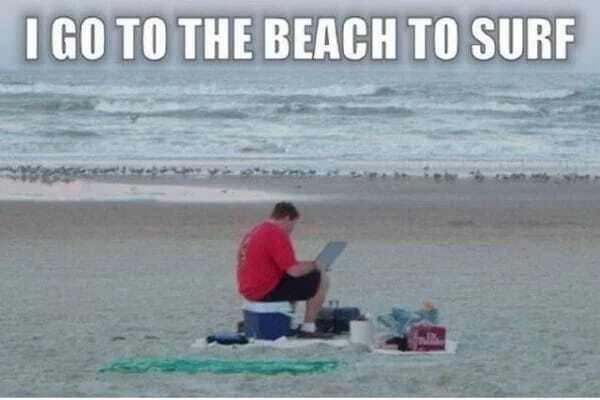 So, if you liked these funny beach memes, please do not forget to check out our other memes as well! We have plenty of them about almost every situation in life, all available on our page. Also, if you want to, you can share these memes with your friends and family! And if you happen to know someone who also loves the beach, make sure to share this with them as well.